Make your own custom-fit stock fencing to keep your livestock safe. 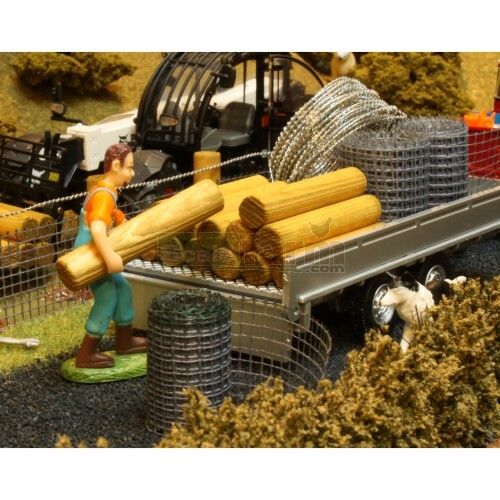 Pack includes 400 cm of simulated wire netting, 600 cm of simulated barbed wire, 25 x 4.5 cm high wooden posts. 30 ml bottle of PVA glue also included. Figures, vehicle and accessories not included.